Every day, 24/7, pests are trying to invade our homes and businesses. Not only do they find food and moisture inside, but also a more moderate climate, plus many places to nest and multiply. These "uninvited guests" cause damage and require us to clean more often. They also create significant health hazards by stinging, biting, spreading germs that cause diseases, and contributing to asthma problems. That is the reason our perimeter treatments are so valuable. They provide a "protective shield" or barrier that stops many pest before they ever enter your home. By professionally treating around the outside of your foundation, and in other key outdoor areas, we can stop many kinds of pest right there-before they ever contaminate your indoor living areas. Pests like ants, spiders, earwigs, crickets, centipedes, millipedes and clover mites are just a few of the many pests that are stopped by perimeter treatments. These pests typically are breeding outdoors and crawl in through cracks and crevices. Some of these invaders thrive and multiply indoors, doing all kinds of damage. Other kinds die within a few days because it's too dry, or there's no food to their liking. These dead bugs can attract scavengers that eat the carcasses and go on to destroy or contaminate other things in the building. Our valuable perimeter treatments are just one of the important tools we use to enable our customers to enjoy the benefits of a more pest-free life! Look Out for Termite Swarmers! Sometime during the months ahead large numbers of winged termites will swarm out cracks and holes just like the creepy-crawlies in a scary horror movie! Depending on the colony size and age, hundreds or even thousands of these will emerge from a colony. Swarming in the spring or fall usually occurs just after a rain. Often the entire event is over in less than a day, but sometimes swarmers continue to emerge for several days or weeks. Swarmers are fully reproductive females and males whose mission is to start new termite colonies. After flying for a very short period, these termites break off wings, mate, and look for a suitable place to establish a new colony. The new queen may continue to lay eggs for up to 25 years! A colony gradually increases in size, and about four years later begins to send out swarmers of it's own. If you see swarmers of their broken off wings indoors, call us right away. A couple of dead swarmers may have simply flown in through an open windo or door, but more is usually a warning sign of an infestation in your home. A professional inspection will determine which it is, as well as find if there are unsafe conditions which make your home especially attractive to termites. Ants also swarm, and look similar to termites. Save some of he bugs for us in a small vial or jar. Don't fill it with water-either keep it dry, or put in rubbing or other alcohol to help preserve the pests. Also show us where you found the insects when we come. unfortunately, bed bug problems will start spreading and become more serious in months ahead. According to a new study published in the Journal of Medical Entomology of the bed bug problem in Philadelphia, Pennsylvania, bed bug infestations reach a low in February of each year, then start increasing, reaching a peak number of new infestations in August. It is suspected that bed bugs are migrating over short distances, such as between rooms or apartments, but sometimes even between houses. But these blood-suckers are also hitching rides on people or personal effects over longer distaces, and starting new infestations that way. 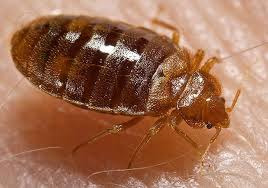 A different study of the entire U.S. a couple of years ago had similar findings, but reported a "peak bed bug season" of July through September. There was a noticeable surge in people requesting bed bug treatments during that period. The study noted that bed bugs not only become more active and move around more during that warmer period; it also takes them less time to mature and reproduce when it is warmer. New research at Oxford shows that spider webs are not as passive as we have always thought at catching prey. The threads of spider webs are actually coated with electrically conductive glue that causes the web to pull closer to and "grab" electrically charged particles, droplets, and even insects. This actually boosts a web's effectiveness at catching passing insects. It may also explain how strands of spider webbing so quickly get dusty in homes-they apparently pull in dust and other air-borne particles that then get stuck on the sticky strands, resulting in ugly, dust covered strands. Bald eagles started dying in early December in Utah, and by early January of this year there were 40 confirmed deaths of the majestic birds. Although West Nile Virus (WNV) from the beginning was the suspected killer, until the virus was positively identified wildlife officials were unsure because the virus had never been reported so late in the year. WNV is transmitted by bites of infected mosquitoes, and birds serve as important carriers of the virus. Infected mosquitoes transmit the virus to birds when they bite them, and then more mosquitoes become infected with the virus when they bite infected birds. Some bird species are much more susceptible than others. This is the first time so many bald eagles have died from the virus. 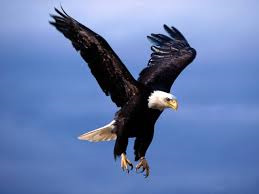 No new dead bald eagles were discovered after early January, so it seems that the main season when WNV was being transmitted to the eagles has ended for now. WNV is a serious mosquito-transmitted virus first discovered in New York City in 1999, but now has been reported throughout the continental United States. If an infected mosquito bites a person, most people exhibit no symptoms, but develop a fever and flu like symptoms, and a small percentage of people infected with WNV die every year. Most cases of WNV occur from June to September. 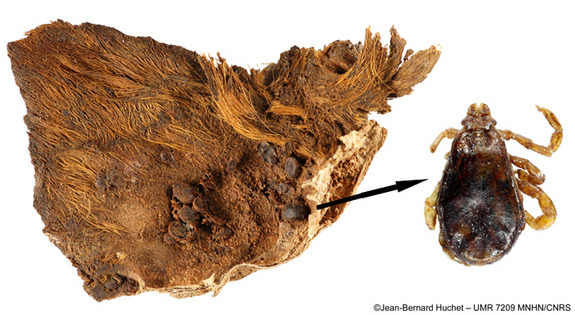 An Egyptian dog mummy, a young puppy possibly dating from as far back as the fourth century B.C., was recently discovered. It was found to have 61 brown dog ticks still clinging to its coat and its ear, plus a blood sucking louse fly. This is the first time these parasites have been found on dogs from this far back, and it is important because discoveries like this can provide clues about the spread of blood-sucking parasites and diseases around the world. The brown dog tick is now common in this country and in warmer areas around the world. The dog that was mummified may have died from canine babesiosis, a tick-transmitted disease that we have in this country.